Shell Shift is the result of the project phase of my first semester at the Cologne Game Lab as well as my first published video game. The topic for this two month project phase was "Ludic game" and I worked on it with four of my commilitones. In the game the player takes the role of an special agent in an distopian future who has to fight against waves of three different types of enemies. 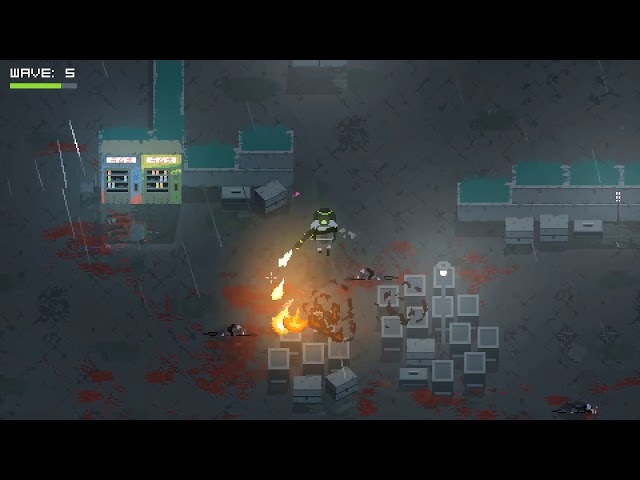 As a twist the player gains the ability to shift into the dead bodies of his defeated opponents. My task as the Game Designer on this project included conceptualizing the health and spawn systems as well as designing & balancing the gameplay. After releasing Shell Shift on itch.io in February 2017 we got a lot of positive feedback for the game and were even invited to exhibit it at the Film Festival Cologne 2017 and the DG Play Festival 2017. The game also gained some attention on YouTube where content creators from around the globe filmed themselves playing Shell Shift.